FDS Super Mario Bros. 2 (JPN) "warps, Mario" in 08:09.23 by klmz. This movie is faster than the previous version thanks to the flag pole glitch discovered by klmz. This is the real Super Mario Bros 2. It was never officially released in the USA and Europe. It was later ported to SNES, and released as "Lost Levels" on Super Mario All-stars. 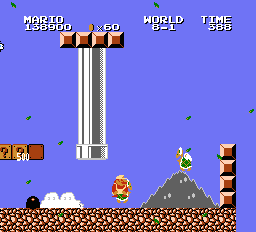 Phil remembers there were pirate copies of this game under the name Super Mario Bros. 3.